Our Spring Menu launched a couple of weeks ago and we hope you’ve all been enjoying it so far! 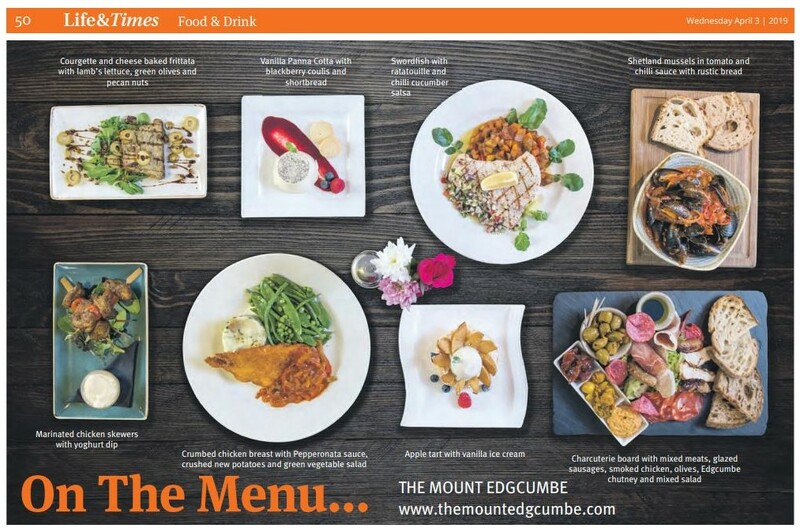 In this week’s Times of Tunbridge Wells www.timeslocalnews.co.uk we are in their On The Menu feature and here you can see lots of the new dishes from our Spring Menu along with a couple of year round favourites! You can book a table with us by calling 01892 618854 or emailing us at hello@themountedgcumbe.com (Please note for tables of 8+ we will not be able to take this booking over the phone, in this instance we kindly request that you email us to make a larger table reservation).